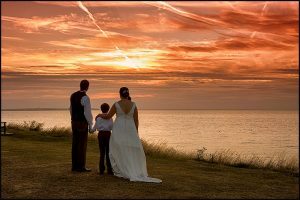 From small gatherings to major weddings, we will capture the essence of your day. We have two specialist, professional photographers that will assist you throughout your planning stages and will make you feel relaxed in the knowledge that the memories of your wedding are in good hands. When you come to meet us we take great care and consideration in identifying your photography needs with a careful & relaxed approach. We take pride and add passion to our work to achieve outstanding results. From modern coverage with reportage to creative & classic styles. 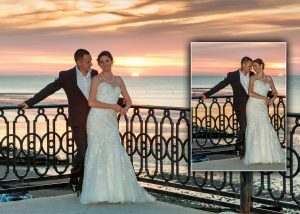 Please don't mistake our service, products and photos with the cheaper alternatives you may find online, this is a full professional service with professional equipment, photographers and post-processing facilities. 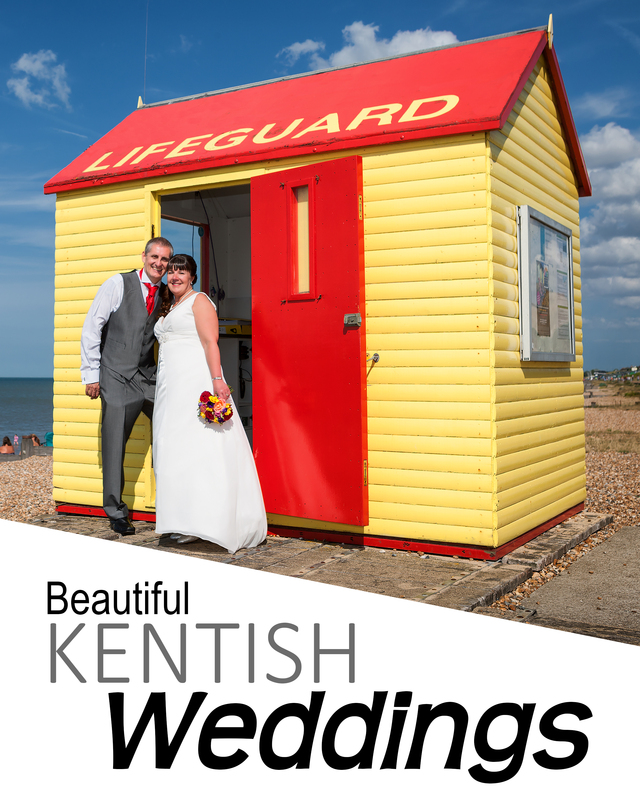 All of our wedding packages below are fully inclusive of all photography, pre-event meetings, viewings and the making, printing and binding of your album. 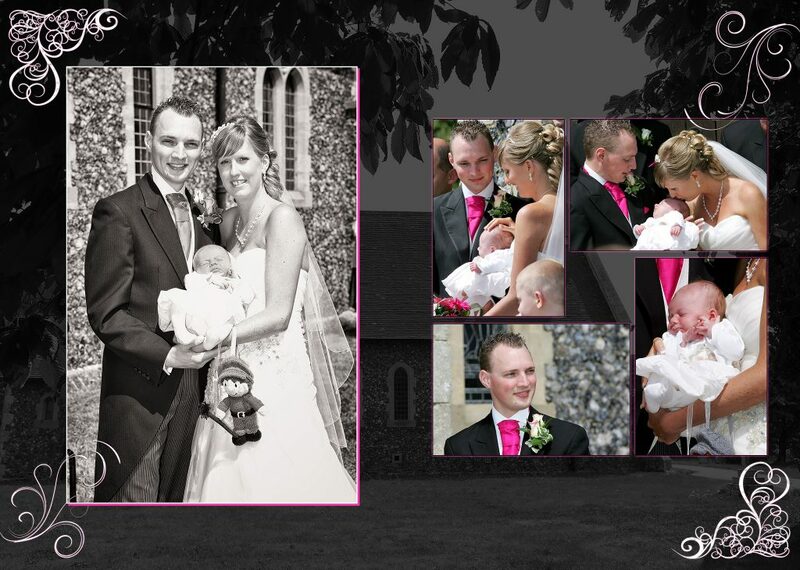 Also included is a DVD with all images on and a very special DVD slide show of your special day. With any package that you choose, there is no limit to the number of photos taken and no pre-set number of hours for the photographer’s attendance. There are NO extra charges. All albums created at The Studio are professionally designed and produced. 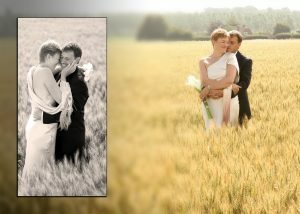 Our Timeless package includes a beautiful large handmade framed portrait from your wedding. Our photographer will meet you at a location of your choice for up to 2 hours to obtain a perfect picture to go in your choice of frame or canvas. In addition, you will receive all the photos taken on disc with the permission to reproduce them and use as you wish. This package is ideal for a wedding couple who prefer not to have a large album but would like more than just photos on disc. This will include a beautiful album where you can choose your favourite 40 photos to be mounted in the A4 album. You have the choice of black and white, sepia or colour on each photo, even a mixture of colour and black and white. 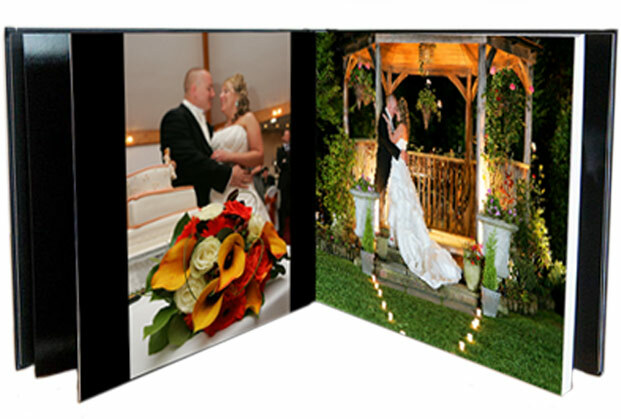 This package includes a professional 40 page 14"x10" album. All photos will be beautifully presented in the album and made up of 80 photos of your choice. All designed in-house to create a unique story of your big day. This top of the range package includes a 50 page A3-sized (opens to A2) album. We will recreate the beautiful story of your special day. There is no limit to the number of photos you may choose to be designed in your own inique way with many intricate montages which will WOW everyone who takes the journey through your album.